taking a little break from Monday. to go back in time for abit on a lazy weekday in Singapore with a bff. 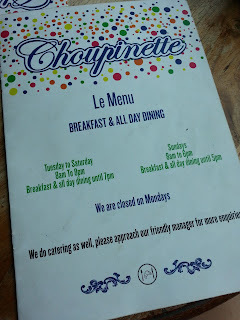 Our initial plans were thwarted so we decided to cab down a short distance to Choupinette at Bukit Timah. 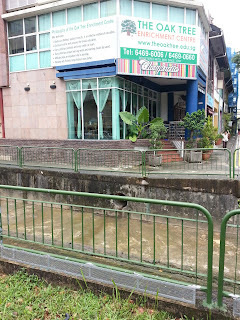 Unassuming and not the best view ever, just next to Coronation. Inside however, the decor was more rustic, really does bring one back to a French countryside. 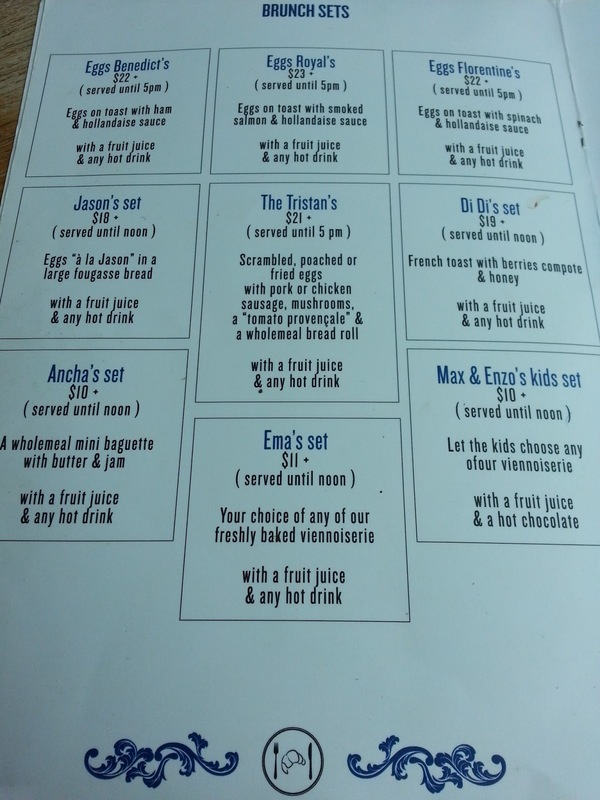 their value for money brunch sets! 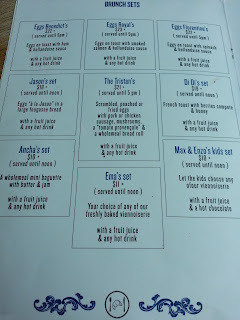 I ordered the egg's royal set for meself. Being on abit of diet that week, so I was unable to have the whole thing to myself. 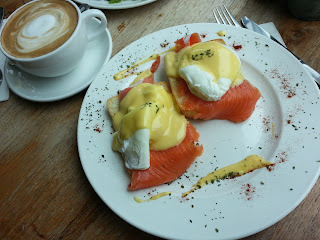 But the little taste of the toasted carb/bread under the smoked salmon and poached eggs and hollandaise sauce was SUPERB. 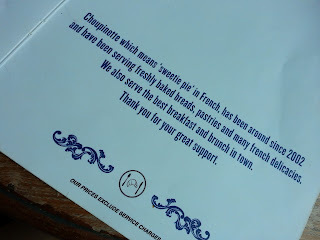 So tasty, and also because Choupinette is known for their bakery goodness. Smoked salmon is of a good grade so I am quite impressed, but the poached eggs and hollandaise sauce could be better to match the other good bits on the plate, maybe also some wilted spinach to just bring this to perfection? 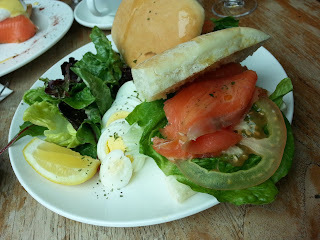 The sandwich set came with a choice of desserts and we went with macarons. Nothing jumps right out at me to go woah though. 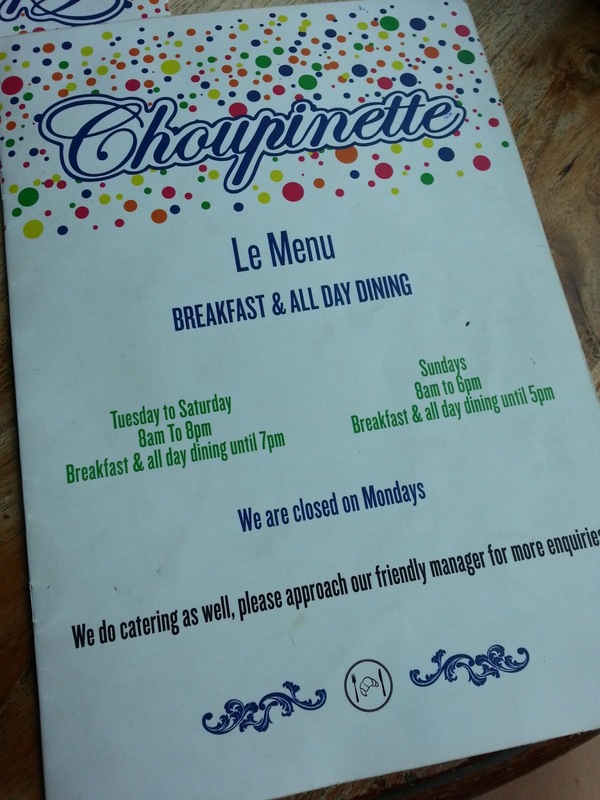 However, while we were there that day, we do know the creme brulee/choc mousse were sold out or nearly sold out so we didn't go for any of those... Perhaps it would have been a better idea? 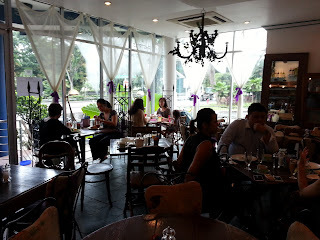 Overall, the coffee wasnt that amazing and because I dont live around the area, I found the travel time wasnt really worth the meal. It was nice to experience it once but other than that, I will keep trying others and find a handful of which I know for sure I will head back no matter the efforts.